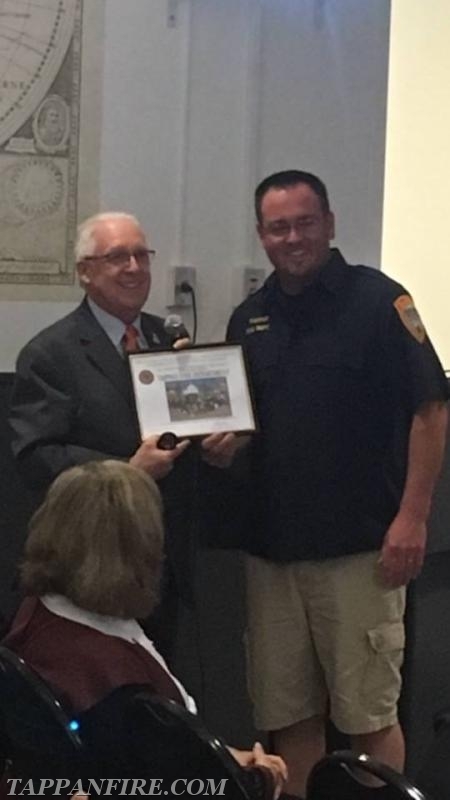 On Tuesday May 15th, 2018 two of members received awards from the Orangetown Highway Department at their annual awards ceremony. 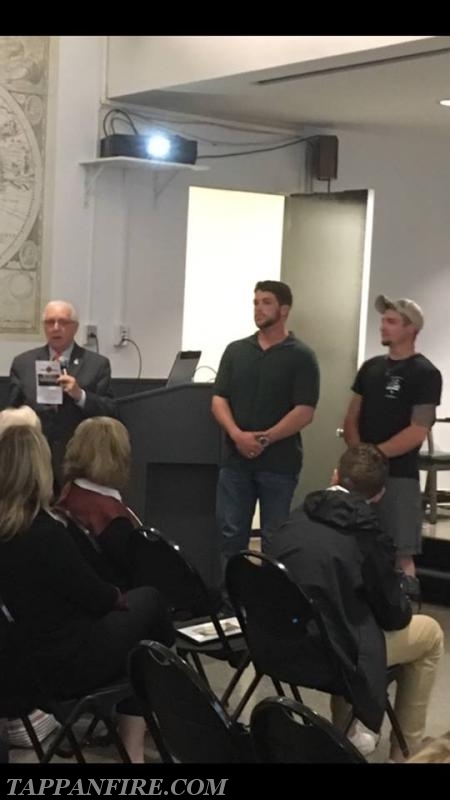 Ex-President George Garrecht V received a cleanup coordinator award for organizing the annual “Great Tappan Cleanup” which hosted over 100 volunteers who helped clean up our community. Asst. Engineer CJ Heffernan received the “Highway Hero” award which is given to an individual who goes above and beyond and performs an outstanding act. CJ along with Pete Byrne Jr. from Orangeburg FD assisted when an individual crashed a vehicle into a work zone and the vehicle started to smoke. The driver was removed without any serious injuries. Congratulations to these individuals on their recognitions, you make the Tappan Fire Department and our community proud!